As we approach the Equinox and Spring forward an hour, we feel the shift into a new season. This is the perfect time to end our hiatus and begin a new season of Mind Body & Soul Food! We stand poised and ready to open up, like the flora around us, into full bloom. What's in store for us as we shake off the winter sleep and spring into action? Let's ask returning guest Coach Wilma Lee, who, with her shoot from the hip with heart style, will be on hand to provide 2019 Spring Full ... See More Bloom Forecasts. Coach Wilma is a graduate of the Inner Visions Institute for Spiritual Development, founded by Rev. Dr. Iyanla Vanzant, and she is also a member of their faculty. 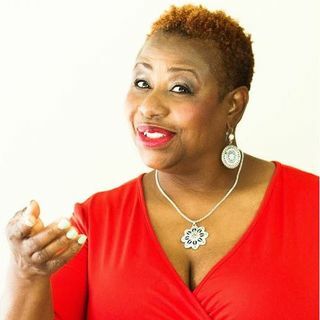 An ordained minister, Wilma is the owner of Full Bloom Services, and with her spiritual life coaching, motivational speaking, women's healing circles, Reiki healing, and powerful intuitive consultations, she truly helps her clients sow their seeds with intention, cultivate their soul with love, and grow a life in full bloom.